Our first fabric is a fine quality 72" wide fabric is made of 40% Wool and 60% Rayon. - .050" thick. Prices for By The Yard - Cut your own. No returns on cut fabrics. 40% Wool and 60% Rayon. - .050" thick. I considered ordering this custom cut string cover (for a 7'6" Yamaha C7) for many weeks ... for so long, in fact, that a price increase went into effect as a result of the delay! Even with the increased price, I ultimately decided to place the order ... and my only regret is not doing so sooner. Very nicely made, and the scarlet fabric was exactly the shade I was hoping it would be. Thank you! 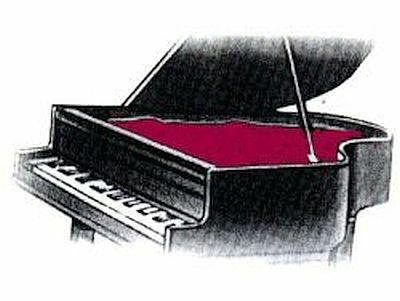 Good internal dust covers for grand pianos are harder to find these days. The one I ordered was for a non-standard brand, but fit perfectly. The cost was excellent. The cover does not interfere with the action or sound which is very important. Came on time and exactly as represented. Highly recommended. I ordered a string cover for our Yamaha C1 and it fits perfectly. The burgundy color also nearly matches the keyboard cover, that came with the piano. Ordering was easy. Delivery was quick. The cover should provide years of great protection. Thank you for this cover. It fit perfectly the and looks quite nice and light. I am glad I paid less than many other sites and don't think I lost in quality. Thanks for the fast delivery and care in helping me choose the right color. I ordered a pre- cut piano cover for our Yamaha GB1K and it fits perfectly. 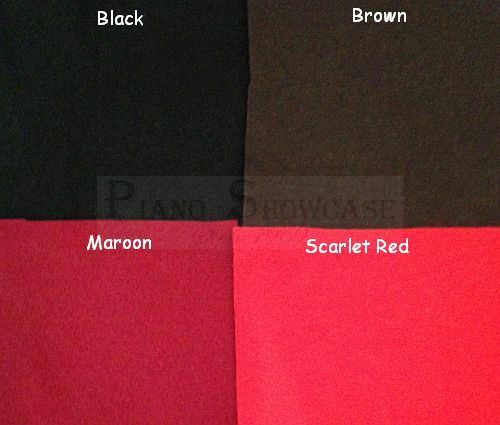 The scarlet red color even matched the Yamaha piano keys cover that came with the piano. I will definitely recommend this website.